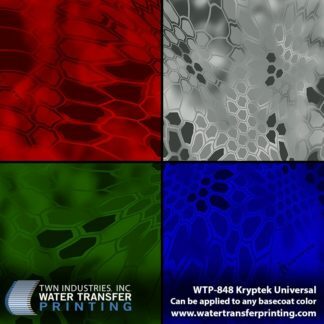 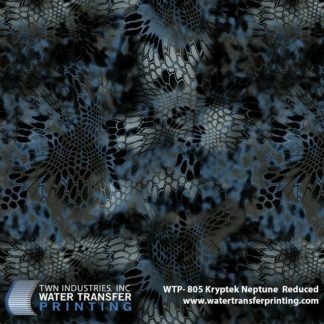 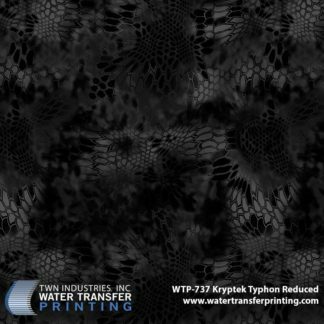 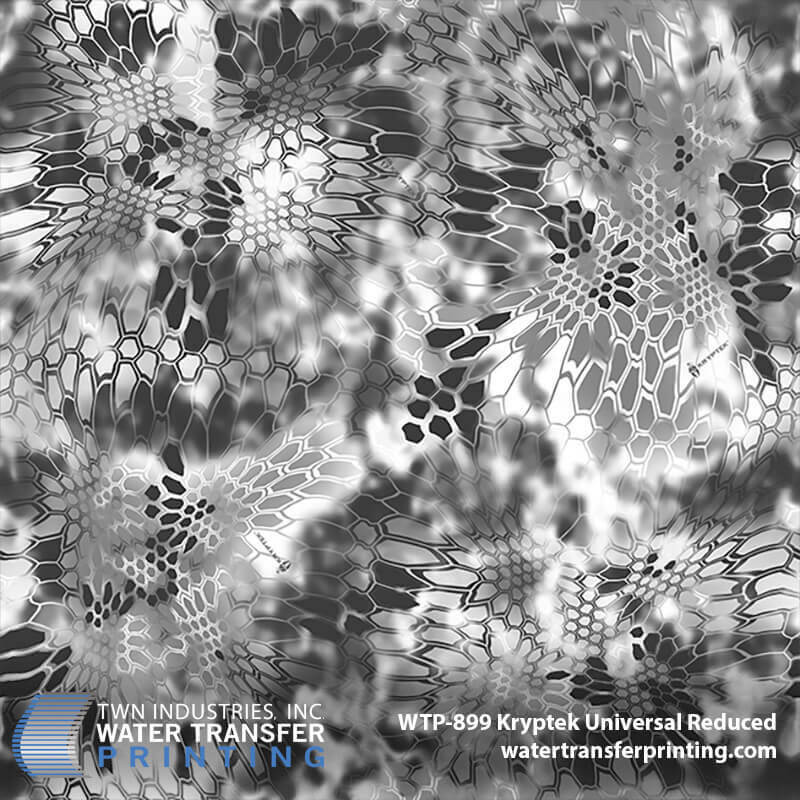 Our Kryptek Universal Reduced hydrographic film is downsized by 35% from the original pattern, Kryptek Universal to allow more detail on smaller objects. 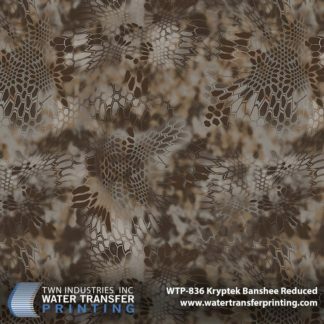 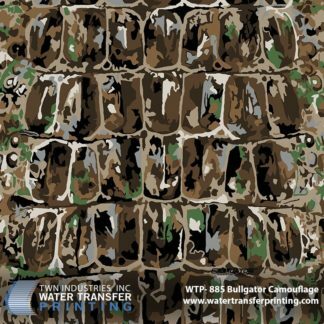 This Kryptek design was inspired by artillery camouflage netting and can be utilized with ANY basecoat color. Now the pro dippers and paint connoisseurs can take their Kryptek designs to the next level without damaging the integrity of the design. Kryptek Universal Reduced was designed to be used with any desired basecoat color. In doing so, Kryptek has given processors the ability to offer their customers a much broader variety of styles. 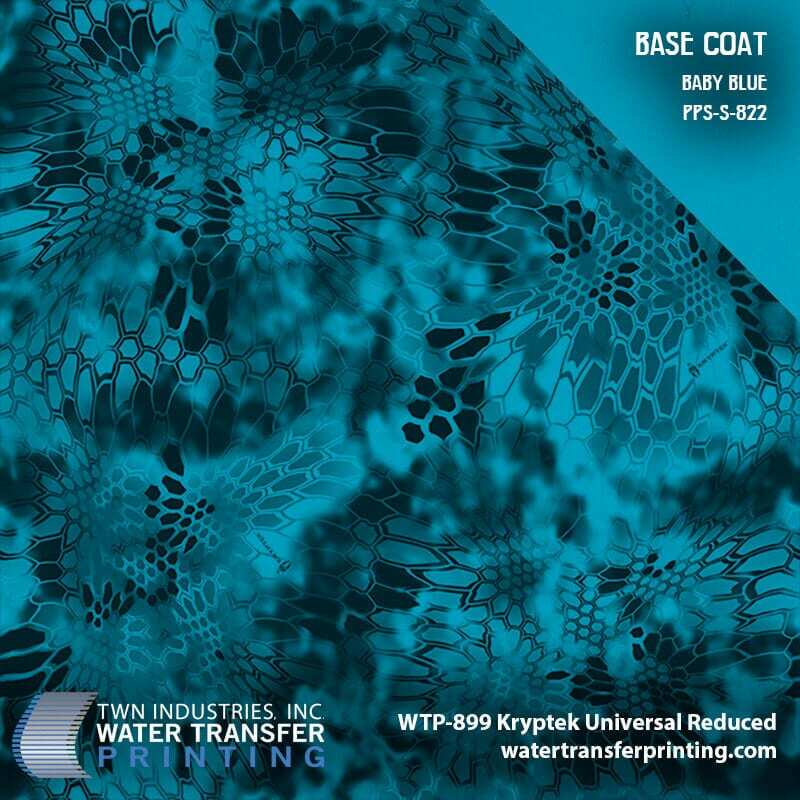 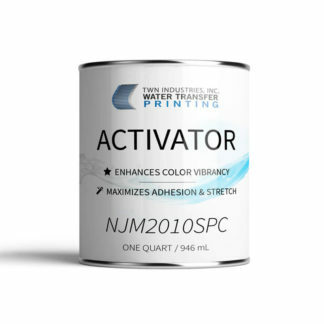 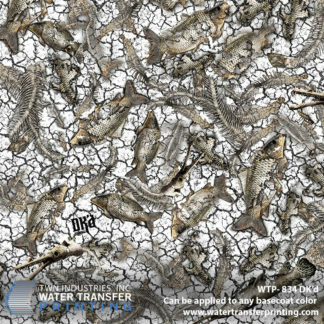 This flexibility opens the market for Water Transfer Printing experts by giving them the ability to target a wider customer base and show off their creativity. For the pros, try our all-new Poseidon Paint Systems metallics to create a jaw-dropping Kryptek design.